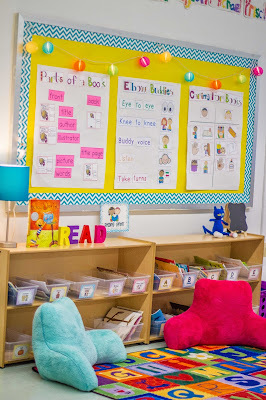 The classroom library is always a popular spot in my classroom. During choice time, my students love cuddling up against a pillow with a buddy or reading to a stuffed animal friend. 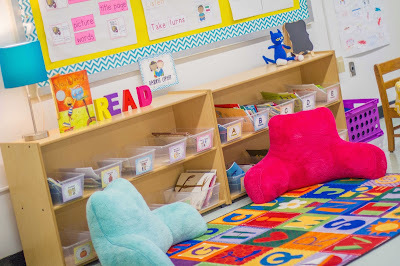 To make the library cozy and inviting, I've added a colorful rug, pillows, stuffed reading buddies, lamps, lantern lights, and colorful decorations. 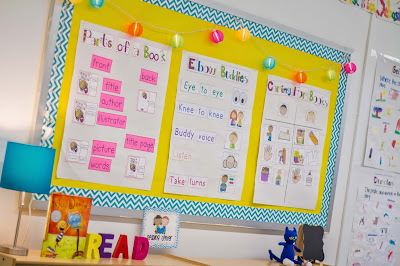 The bulletin board above the library area is where I put anchor charts relating to our current unit of study. In choosing a spot for my library, I made sure to find an area that was away from the noisier centers. I have a VERY big classroom, which is amazing, but it also makes it difficult to create a "cozy" feeling. I've made use of shelves and furniture to section off the library area. 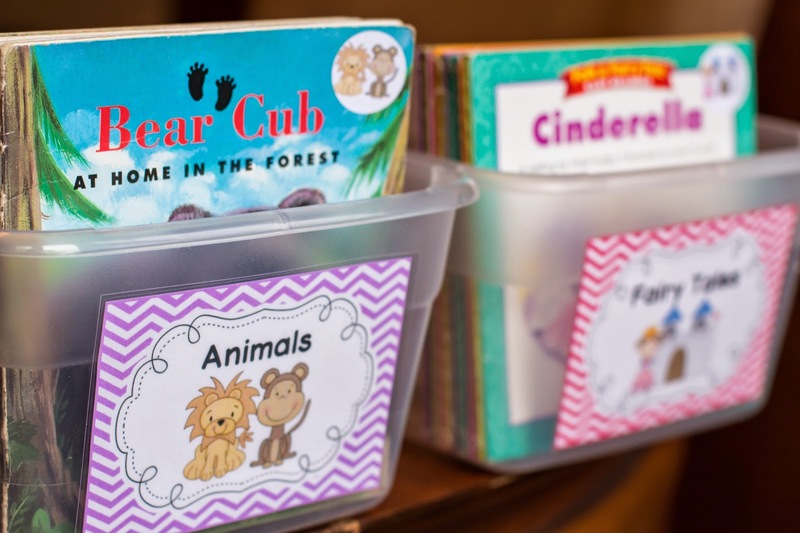 The first step in setting up the library was to sort and label my books. I chose to divide my library into two sections, which was suggested by Teachers College. 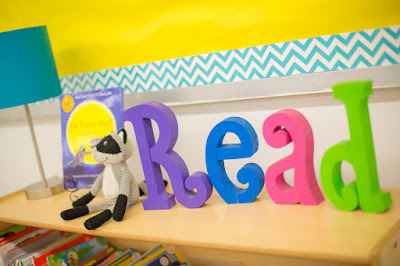 I organized half of my books by reading level so that my students can choose just right books. The other half are sorted by themes or genres. 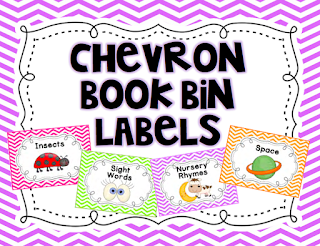 I used my chevron library labels to label the book bins so that students can easily shop for just right books and also find books that cater to their interests. I created matching book stickers so that students can (hopefully!) put the books back in the correct bins independently. 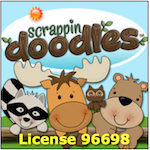 You can find the Avery stickers for the books on Amazon. 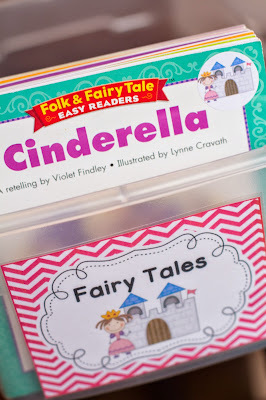 I use small clear Sterilite bins for my book bins but Dollar Tree also has some really cute colorful baskets. I try to keep the library interesting throughout the year by rotating the books on the wooden display to coordinate with current themes, seasons, or holidays. I also have bins for "Class Favorites" and "Book of the Month" that we add to over time. 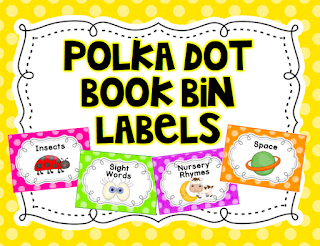 I also created a bin for "Class Books" that we have created as a class. The kids love reading books they wrote themselves and seeing them in the class library! I bought a few small book easels on which I highlight some of my favorite books. For example, at the beginning of the year I display The Kissing Hand along with a stuffed Chester Raccoon. Different stuffed characters make appearances throughout the year. I do not open the library at the start of the school year. I slowly introduce the library to students over time. 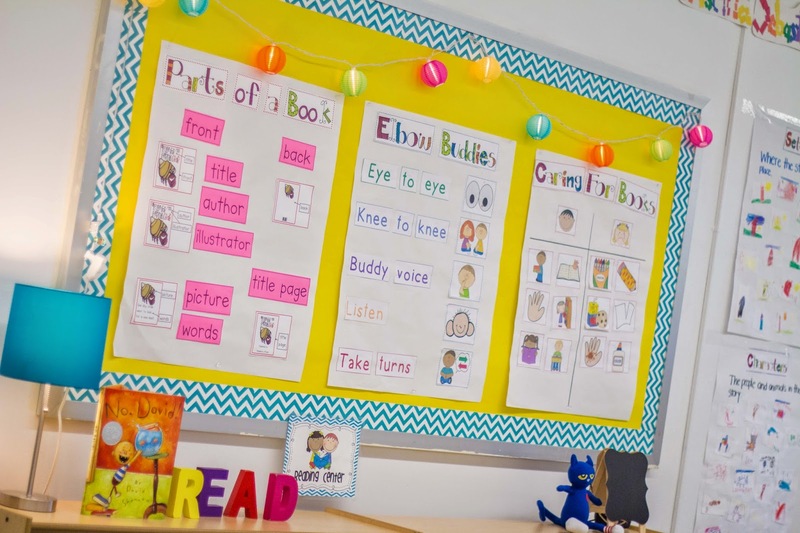 During the first weeks of reading workshop, we learn how to treat books, ways to read, and how to choose books that interest us. Eventually, after lots of modeling and practice, my students learn to go book shopping. I've found it most manageable to have one table group go book shopping each day of the week. 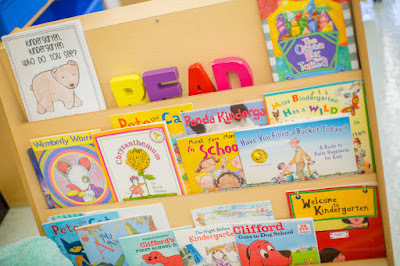 I display a book shopping schedule in the library so that the kids know when it's their day to book shop. I also provide them with book shopping lists so they know how many books to choose at each level. 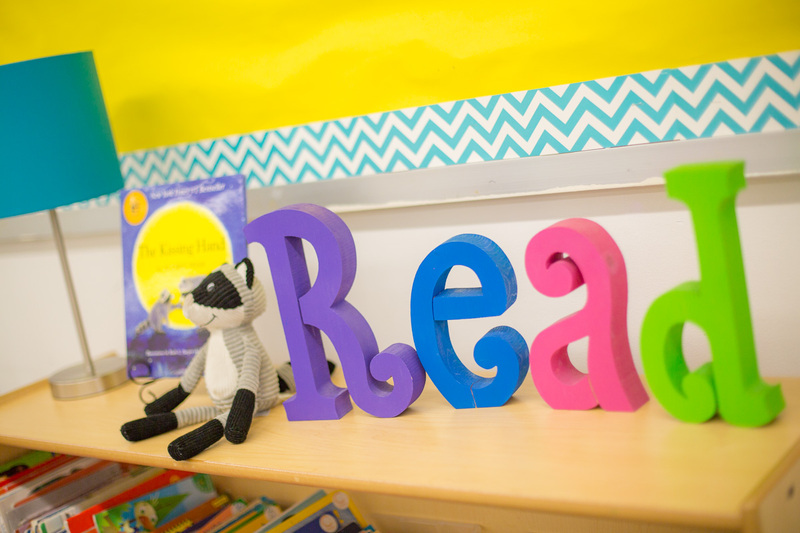 Check back soon if you want to see how I launch reading workshop in my classroom! Wow...! 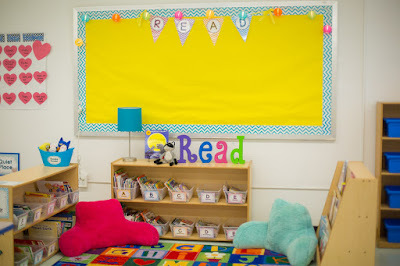 This is beautiful and amazing idea about creating classroom library.